Hotel developer and operator citizenM is planning the 20-story, 300-room project at 185 Bowery. A Dutch company constructed the building in Poland and shipped it to New York in 210 pieces, the Wall Street Journal reported. CitizenM, which has nine hotels operating and 14 in development, has used modular construction to build the majority of its properties in Europe, where the technique is widespread. While the method isn’t always less expensive than traditional construction, it does allow for quicker assembly. CitizenM’s hotel, co-owned by Brack Capital Real Estate, is expected to take three to four months to finish, compared to six to nine months using traditional methods. It will also cut down about 1,200 truck deliveries to the site. New York’s fledgling modular industry is hoping the project will be a boon, illustrating the time-saving benefits. 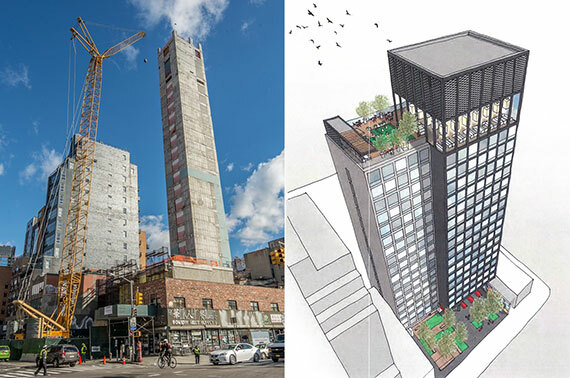 “So much centers on how quickly you get the hotel full,” said Roger Krulak, chief executive of Brooklyn-based Full Stack Modular.